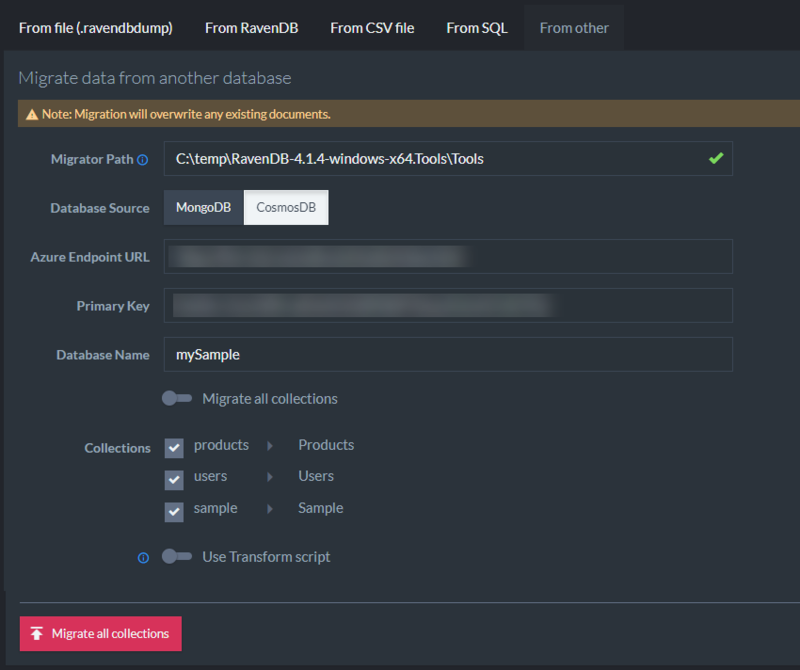 Import From other allows you to import your existing NoSQL Database into RavenDB. Currently MongoDB and CosmosDB are supported. You can import all collections or select individual collections to import. 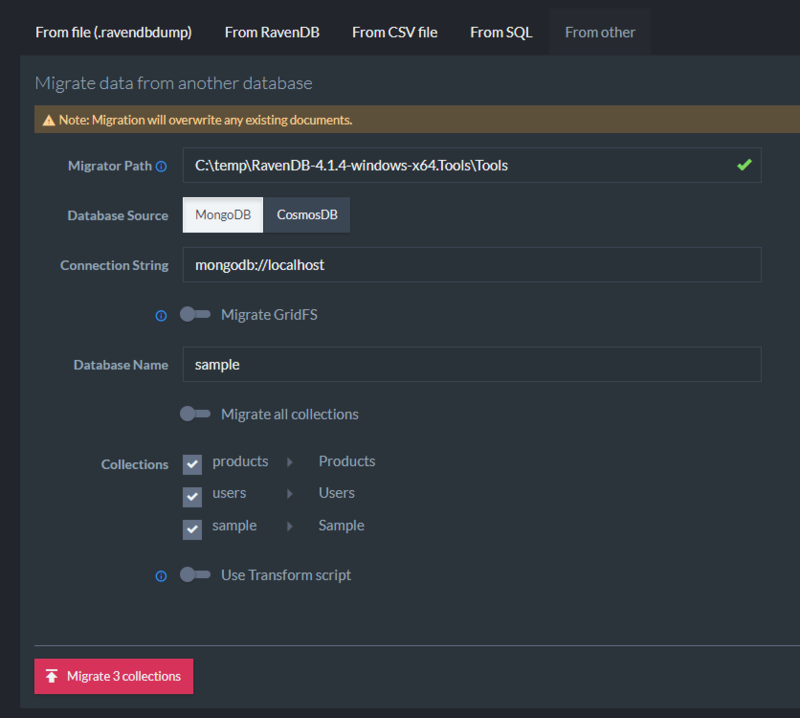 You need to download an external tool used to migrate data from your existing NoSQL database called Raven.Migrator. This application is available in the tools package which you can download from ravendb.net/downloads. Input the path to the folder which contains Raven.Migrator.exe.